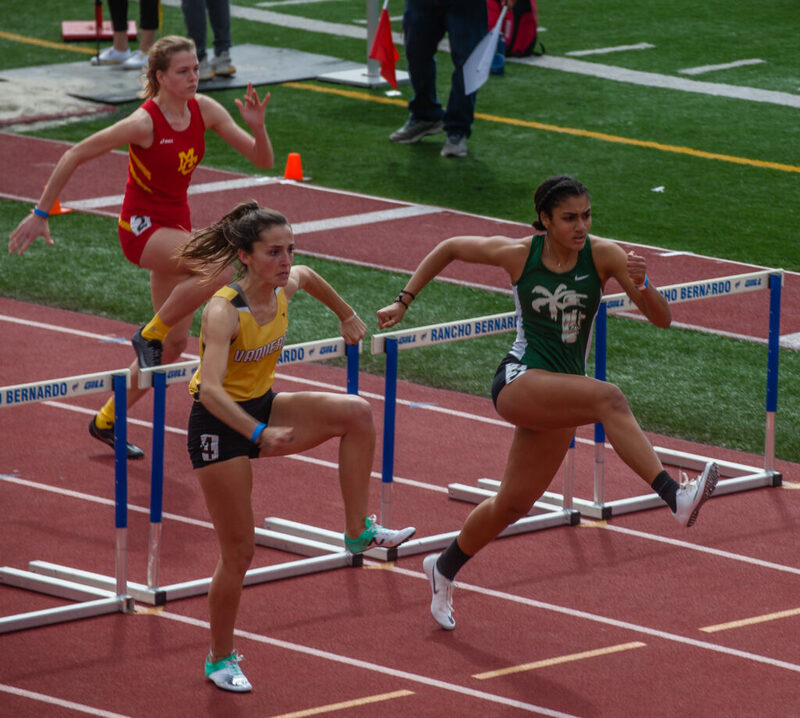 On Saturday, March 23, the Islander Track and Field team competed in the Mt. 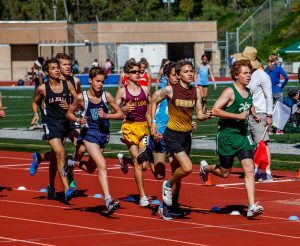 Carmel Invitational Meet—the second invitational held at Mt. Carmel High School this season. On the field, sprinter and jumper Alysah Hickey continues to dominate in the Long Jump event. 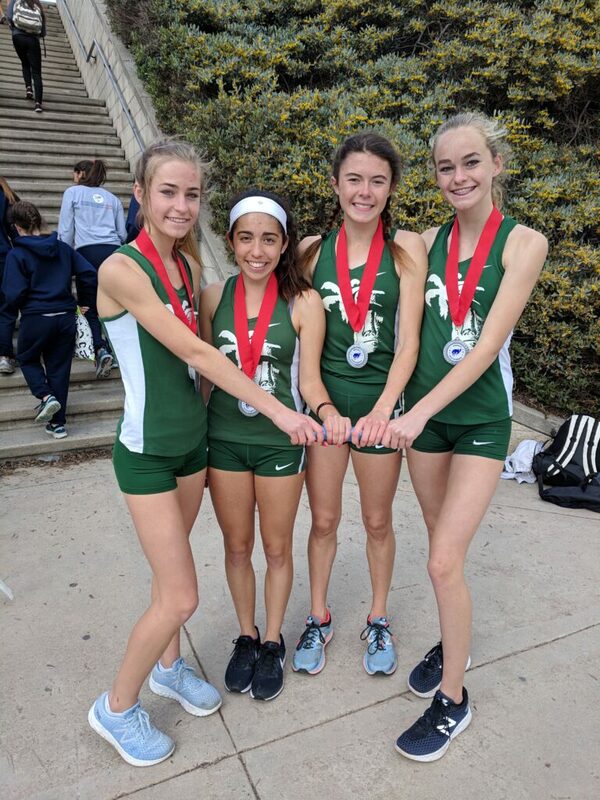 After three preliminary jumps, Hickey took a commanding lead with a mark of 19 feet-9.25 inches, “only half an inch short of the distance with which she won at the state meet last season,” according to Coach George Green. The jumpers are given three more attempts to better their marks after the preliminary attempts; however, Hickey faulted on all three of her jumps and was not able to improve her mark. She won the event by a landslide, as the second place mark was over a foot shorter. 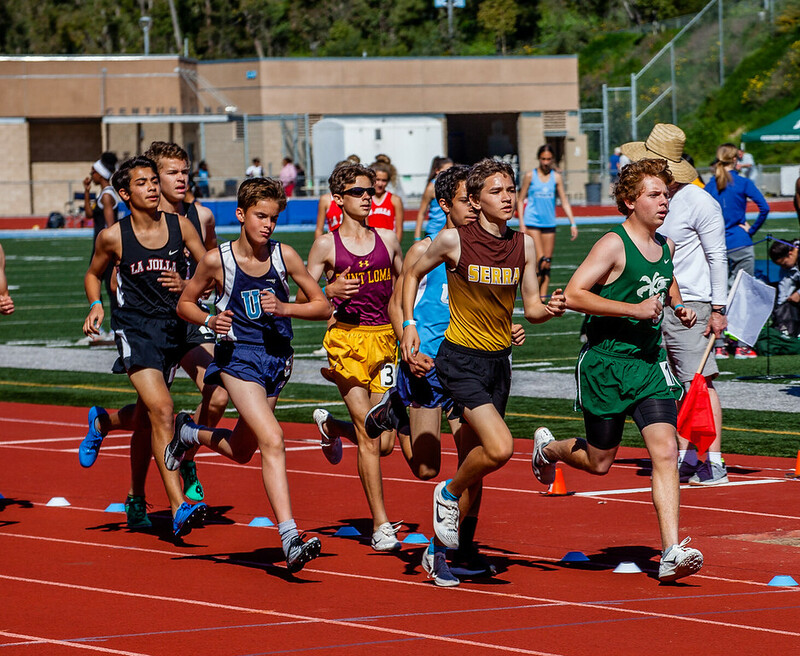 Being a skilled athlete with range, Hickey also competed in the 100-meter dash and placed fourth with a time of 12.09 seconds among some of the best Southern Section sprinters. Her last event of the day was the High Jump, which she won with a mark of 5 feet-5 inches. Senior Ruthie Grant-Williams also competed in the High Jump to place third with a mark of 5′-3″. Grant-Williams placed eleventh in the long jump with 16-4 and ran the 100 meter hurdles in 15.95. For the first time this season, senior Teresa Perez ran the 1600-meter race, placing fifth with a time of 5:10.21. She currently holds the school record for the 1600-meter with a time of 5:03.22. Sophomore Sofia Van Arsdale placed sixth in the 800-meter race, finishing in 2:21.15. Coronado’s thrower Victoria Perez competed in both the discus throw and the shot put. She placed ninth in the discus throw with a mark of 109 feet-2 inches and fourteenth in the shot put with 33 feet-5 inches. Coach Green comments: Our State Champ long jumper, Alysah Hickey, wasn’t at this meet because she was competing at the New Balance National Indoor Championships held at the Armory in New York where she long-jumped 19 feet 6.75 inches for seventh place. It’s worthy of note that all of the girls mentioned above are school record holders. 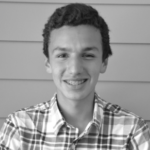 Hickey holds the record for the long jump, 100 dash, 200 dash, and as a member of the 4×100 record team. Grant-Williams holds the 100 hurdle record and was on the 4×100 team. 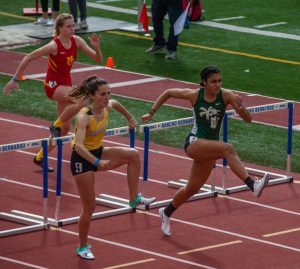 Teresa Perez holds all the distance records: 800, 1600, 3200, 3-mile, as well as the record for the DMR. 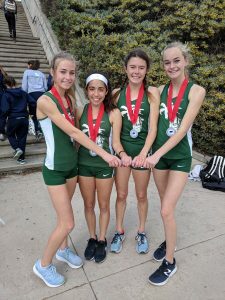 Van Arsdale and the Hundley sisters are on the record-breaking DMR team. Victoria Perez holds both the shot put and discus records. Alysah cleared 20 feet 2 inches on her third try, and 20 feet 9 inches on her fourth attempt. Had the wind not been over the 2 meter/sec limit on the 20-9 jump, she would have broken the all-time San Diego Section Long Jump record currently held by Gail Devers. The wind reading for the 20-2 jump was legal.